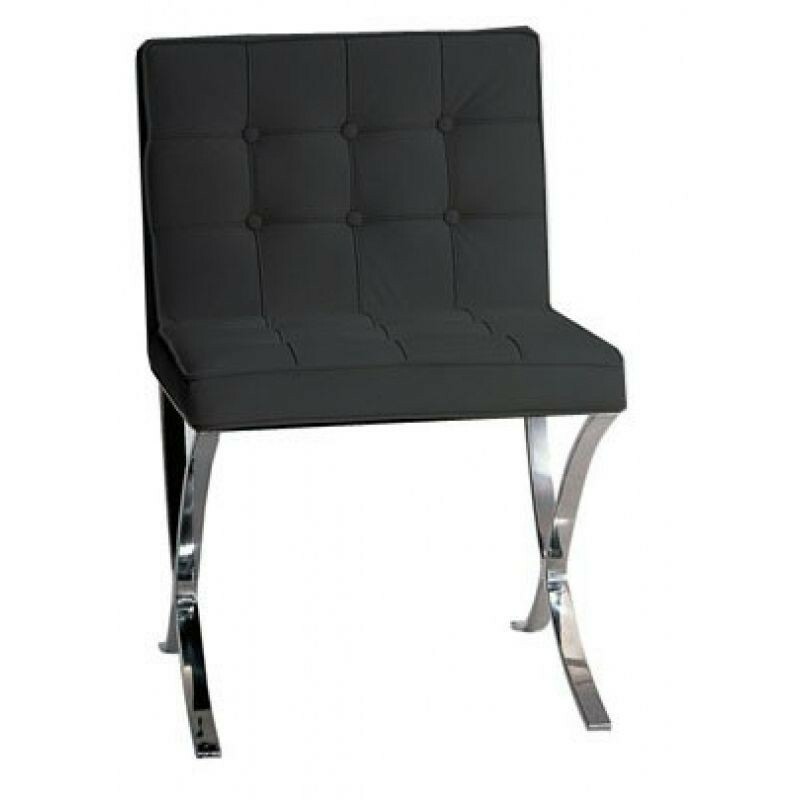 This beautiful Barcelona Diningchair differs from others by its meticulous workmanship. The chair is finished to a professional standard. 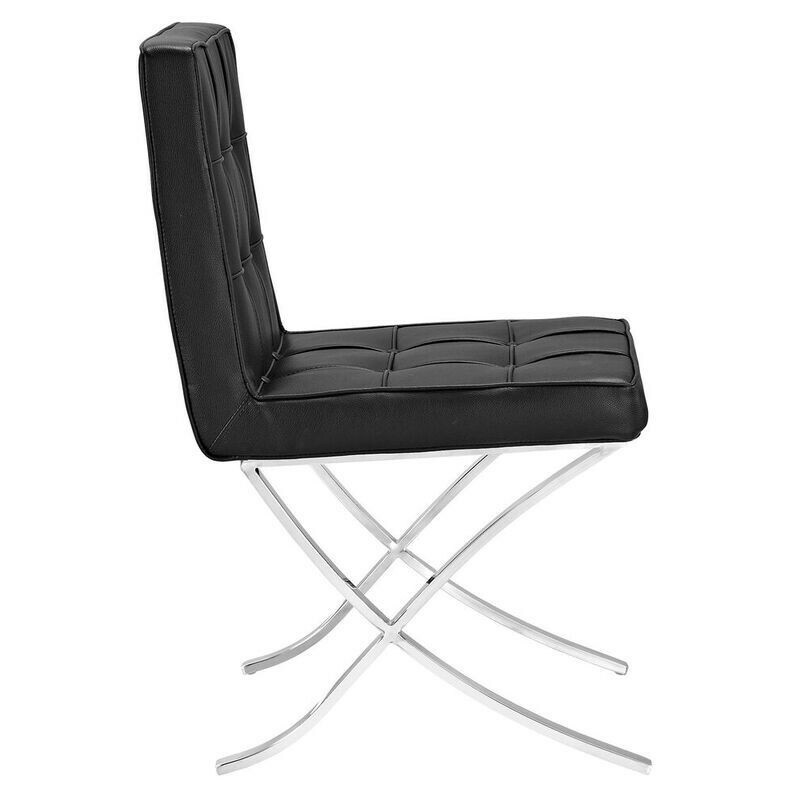 The chair rests on a solid one piece, polished stainless steel frame. The cushions are upholstered with PU Leather so it's easy to clean. 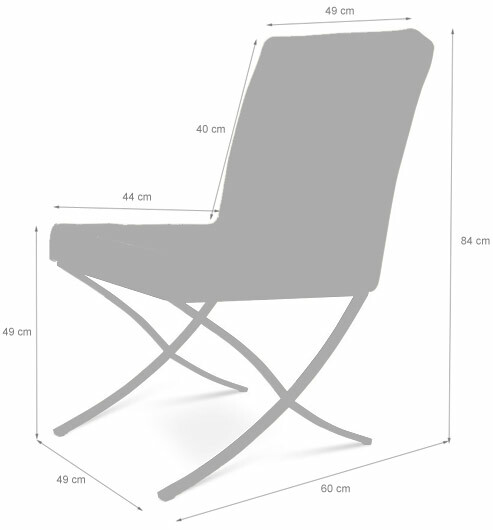 This offer also includes the costs of the complete assembly of the chair. So no hassle at home! Click here to check out images of our chairs with customers at home. 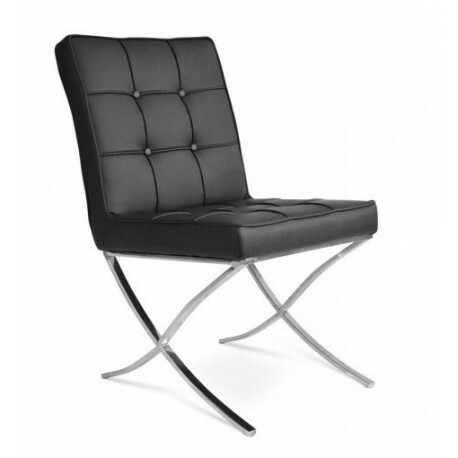 The Barcelona dining chair design is based on the design of the original Barcelona fauteuil. 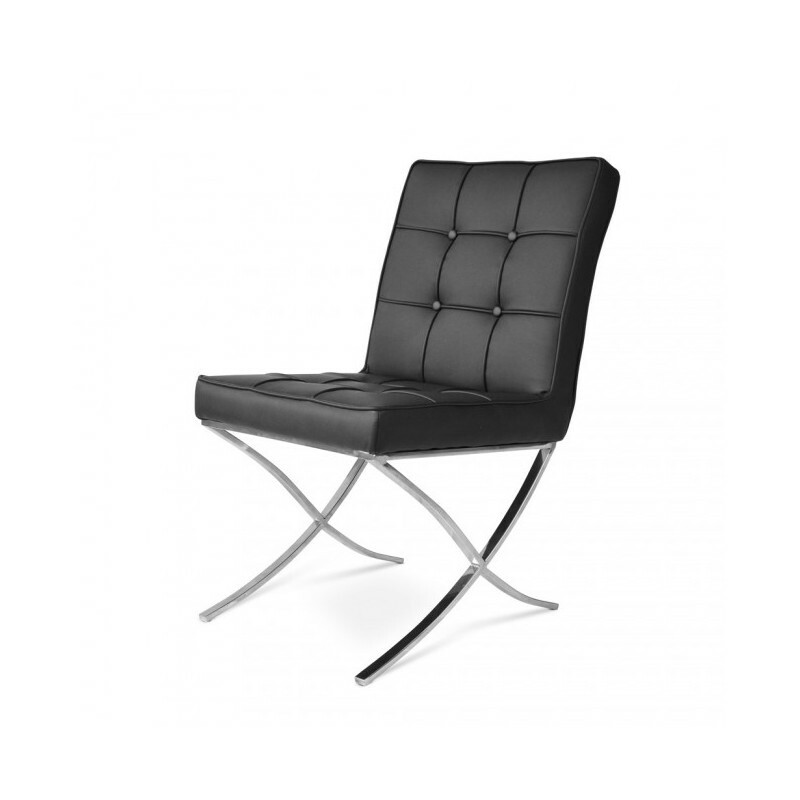 Famous German architect Mies van der Rohe designed the Barcelona Chair in 1929 and it was specifically designed for the German Pavilion for the Universal Exhibition held in Barcelona on the same year. 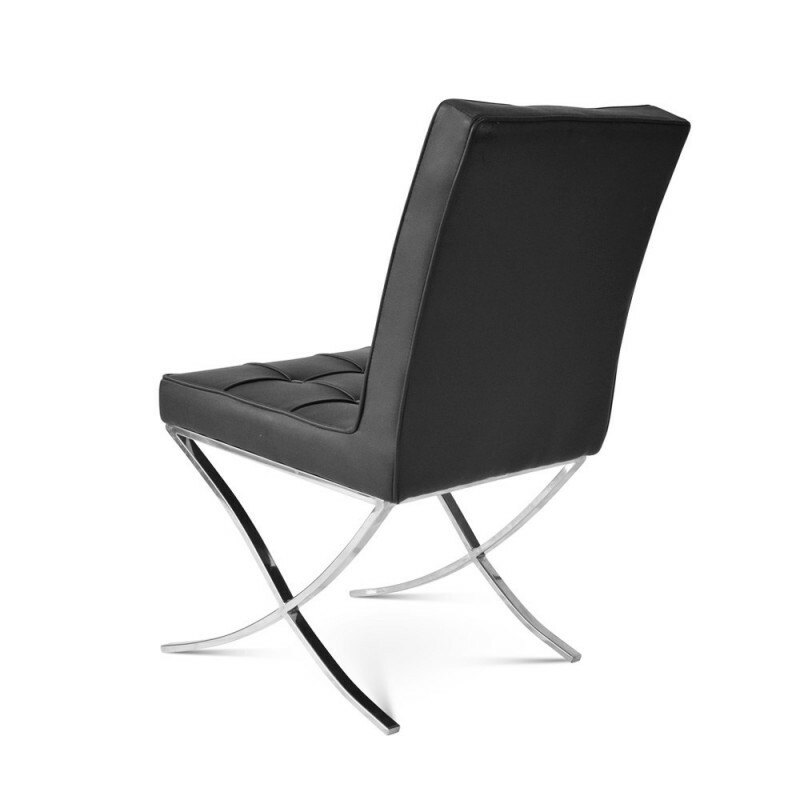 In cooperation with architect friend Lily Reich he created this minimalist lounge chair. 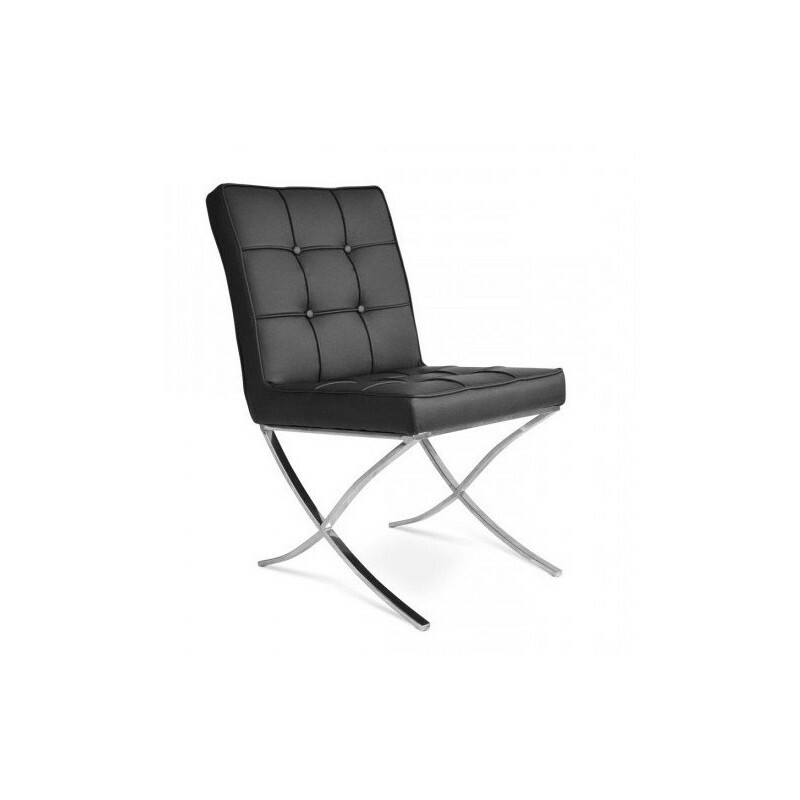 You can clearly see that the Barcelona Chair has the character of the designer: honest, elegant and functional with no frills. 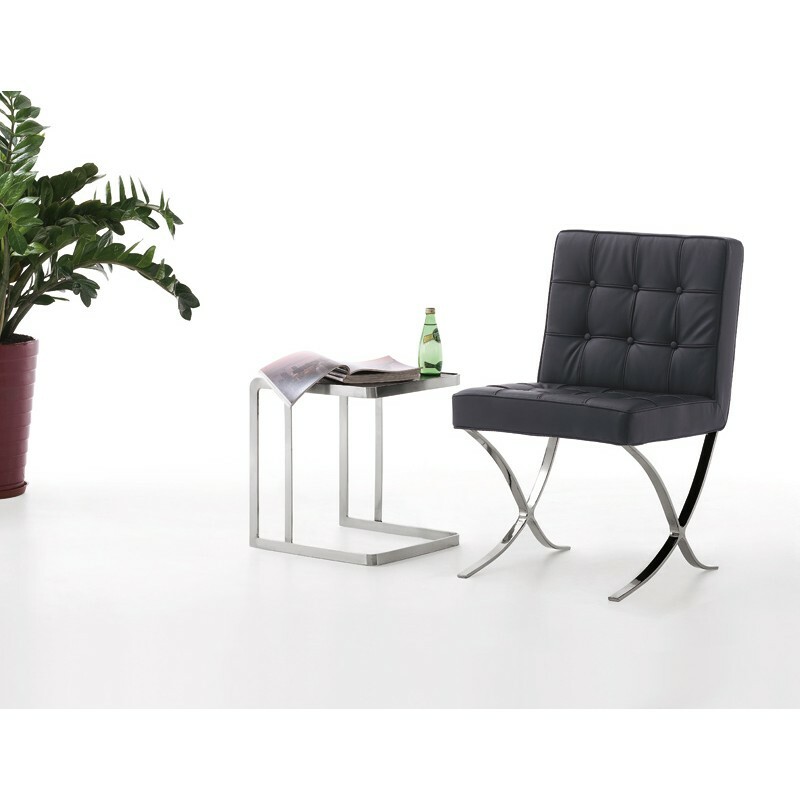 His motto "less is more" shows clearly with this seat.